The Filmfare Best Music Album Award is given by the Filmfare magazine as part of its annual Filmfare Awards for Hindi films, to the best composer/arranger of a soundtrack. This category was first presented in 1954. 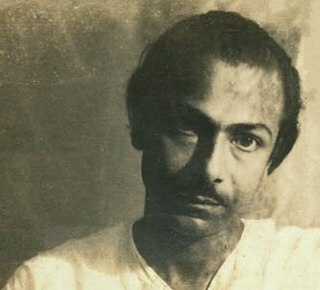 Naushad Ali was the first recipient of this award for his song "Tu Ganga Ki Mauj" from the film Baiju Bawra . For the first two years, it was awarded to the composer for a particular song and not the entire album. From 1956 onwards, awards in this category have been given for the entire soundtrack. From 2017, the name of this was category changed from best music direction to music album. Baiju Bawra, was a dhrupad musician from medieval India. Nearly all the information on Baiju Bawra comes from legends, and lacks historical authenticity. According to the most popular legends, he lived in the Mughal period during the 15th and 16th centuries. 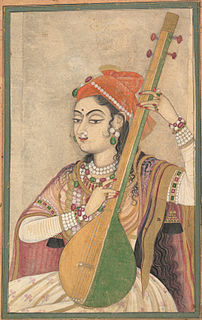 He was one of the court musicians of Man Singh Tomar of Gwalher. Allahrakka Rahman known professionally as A. R. Rahman, is an Indian music director, composer, musician, singer and music producer. 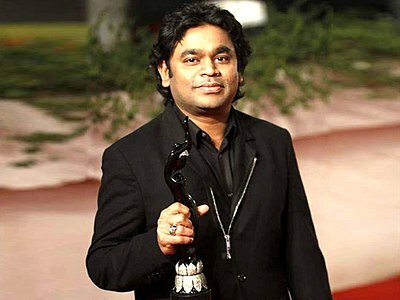 A. R. Rahman's works are noted for integrating Indian classical music with electronic music, world music and traditional orchestral arrangements. Among his awards are six National Film Awards, two Academy Awards, two Grammy Awards, a BAFTA Award, a Golden Globe Award, fifteen Filmfare Awards and seventeen Filmfare Awards South. He has been awarded the Padma Bhushan, the third highest civilian award, in 2010 by the Government of India. In 2009, Rahman was included on the Time 100 list of the world's most influential people. The UK-based world-music magazine Songlines named him one of "Tomorrow's World Music Icons" in August 2011. He is nicknamed "The Mozart of Madras" and "Isai Puyal" in Tamil. Rajesh Roshan Lal Nagrath is a Hindi cinema music director and composer. He is the son of music director Roshan. Ravindra Jain was an Indian music composer, lyricist, playback singer, and Bollywood film composer. He received the Best Music Director award from Filmfare for his work in Ram Teri Ganga Maili in 1985.. He started his career in the early 1970s, composing for hit movies such as Chor Machaye Shor (1974), Geet Gaata Chal (1975), Chitchor (1976) and Ankhiyon Ke Jharokhon Se (1978). He was awarded the Padma Shri, the fourth-highest civilian award of the Republic of India in 2015 for his contribution to arts. Omkar Prasad Nayyar was an Indian film music composer, singer-songwriter, music producer, and musician. He is considered to be one of the most rhythmic and melodious music directors of the Hindi film industry. He won the 1958 Filmfare Award for Best Music Director. Nayyar worked extensively with singers Geeta Dutt, Asha Bhosle and Mohammed Rafi but not with leading Bollywood female singer Lata Mangeshkar. However, Mangeshkar's song Saari Saari Raat Teri Yaad Satayein was used in the 1973 Hindi film Taxi Driver, for which Nayyar was music director. According to music and film expert Rajesh Subramanian, "Aap Ke Haseen Rukh" was planned with full orchestration but many of the musicians were late for the recording. After a disagreement with Mohammed Rafi, Nayyar began working with singer Mahendra Kapoor. Kapoor performed Nayyar's song "Badal Jaaye Agar Maali, Chaman Hotaa Nahi Khaali" in Bahaaren Phir Bhi Aayengi. Based on a Bengali language work by Rabindranath Tagore, Nayyar composed "Chal Akelaa, Chal Akelaa". Salil Chowdhury was an Indian singer-songwriter, music director, lyricist, writer and singer, who mainly composed for Bengali, Hindi, Malayalam film and other films. He was also a poet and a playwright. He is affectionately called Salilda by his admirers. Amit Trivedi is an Indian film score composer, music director, singer and lyricist. After working as a theatre and jingle composer and composing for non-film albums, he debuted as a film composer in the 2008 Hindi film Aamir, and was noticed for his critically acclaimed work in the Hindi film Dev.D (2009), which earned him several Awards, including the 2010 National Film Awards for Best Music Direction. Himesh Reshammiya is an Indian music director, lyricist, composer, producer, singer, story writer and film distributor who predominantly works in Bollywood film industry. Viju Shah is an Indian score composer of Hindi cinema. He is the son of music director Kalyanji Virji Shah of composer duo Kalyanji Anandji. He composed music for movies such as Vishwatama (1992), Mohra (1994), Tere Mere Sapne (1996) and Gupt (1997) for which got his second nomination for the Filmfare Award for Best Music Director and he won the 1998 Filmfare Award for Best Background Score for Gupt. Note- Anu Malik has won 2 Filmfare and 1 Special Filmfare award (for Refugee (2000 film) ). Refugee is a 2000 Indian film written and directed by J. P. Dutta. It marked the debuts of Abhishek Bachchan, son of popular actor Amitabh Bachchan, and Kareena Kapoor, the younger sister of actress Karisma Kapoor. The film also starred Jackie Shroff, Sunil Shetty and Anupam Kher. Refugee performed moderately well at the box office and was the fifth highest-grossing film of that year. B ^ :S. D. Burman won the 1955 award for the song "Jaye To Jaye Kahan", sung by Talat Mahmood, and not the entire album. Ismail Darbar is an Indian music director, a popular name in Indian Film Industry: Bollywood. He was a contestant on Bigg Boss 3 in 2009. Shabbir Kumar is an Indian playback singer, notable for his work in Hindi cinema. Monty Sharma is a music composer from India scoring music for Bollywood. He is popular for being the background music composer for Black (2005), Ram-Leela (2013) and music director for Saawariya (2007). He is cousin of famous Indian music composer Mithoon & nephew of famous music composer Pyarelal Sharma of popular Indian music composer duo Laxmikant–Pyarelal. ↑ "Filmfare Awards 2011 Winners". Times of India . 31 January 2012. Retrieved 20 February 2012. ↑ "Naushad: Composer of the Century". Rediff.com. 8 May 2006. Retrieved 1 December 2018.